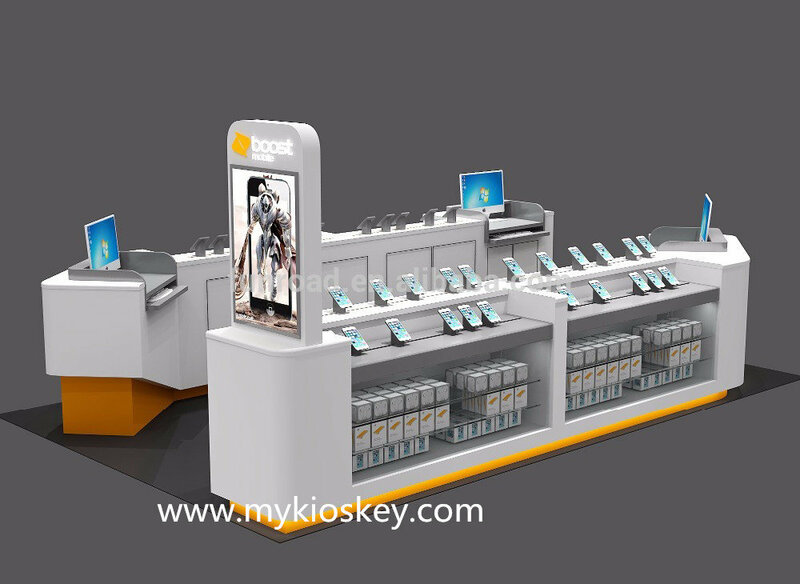 Nowadays, mobile phones and electronic products are widely used in our lives, which is an indispensable part of us. 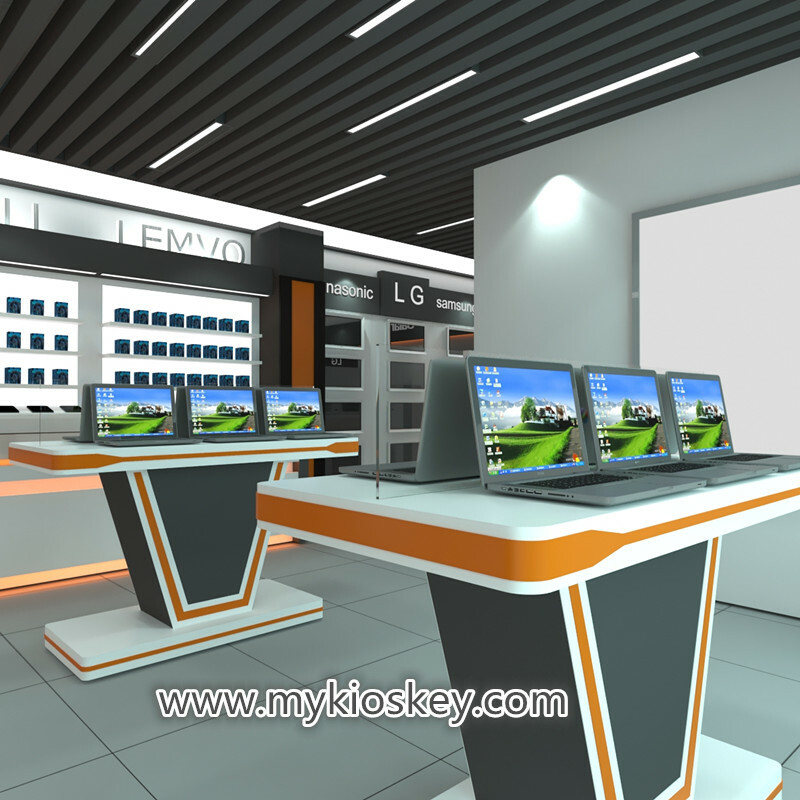 The rise of electronic products storefront and electronic products repair and accessories services. 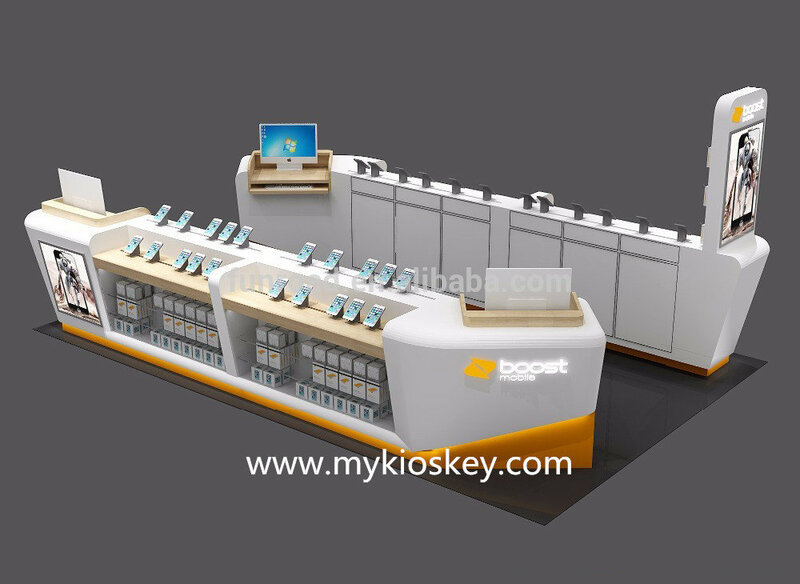 In this article I want to introduce a very modern mobile phone display kiosk , if you interested start your own phone business , please follow me for more details . 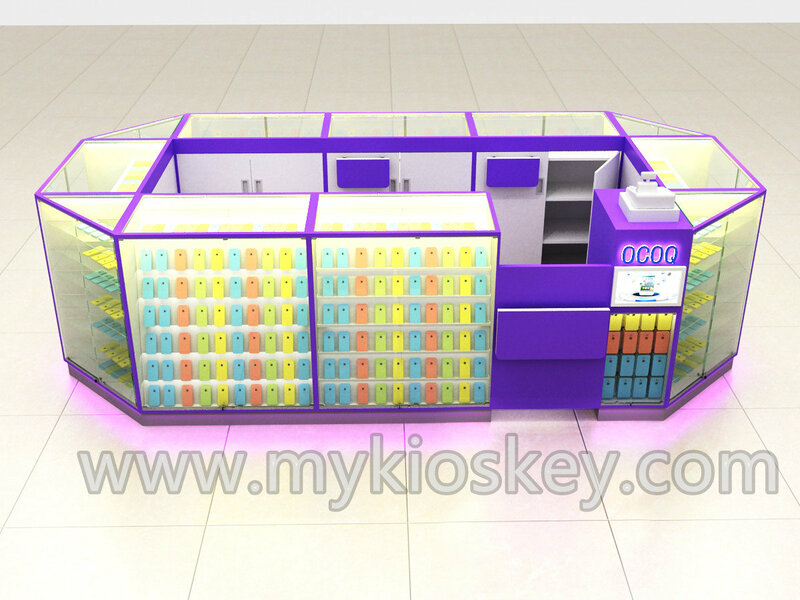 Item : Mobile phone display kiosk . 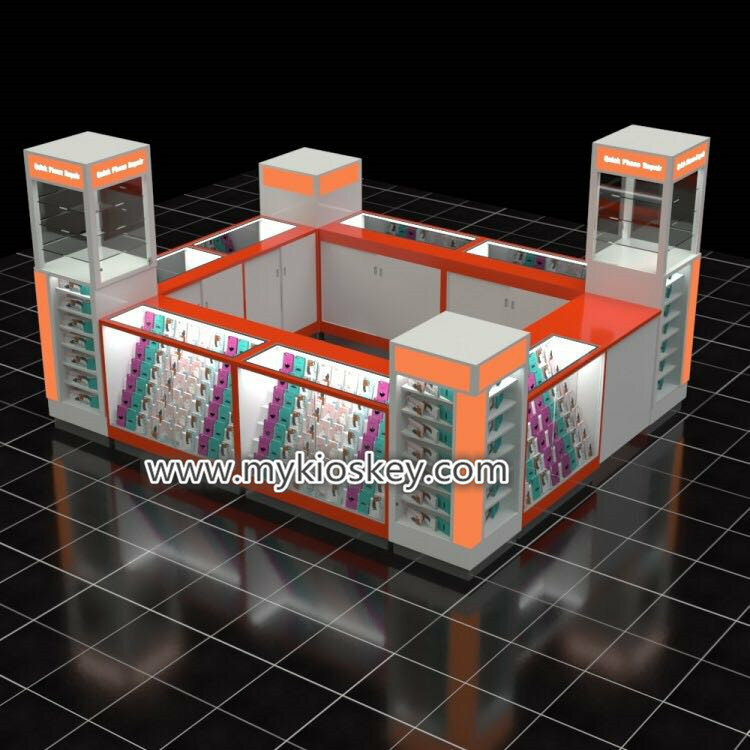 Color : white , orange or customized . 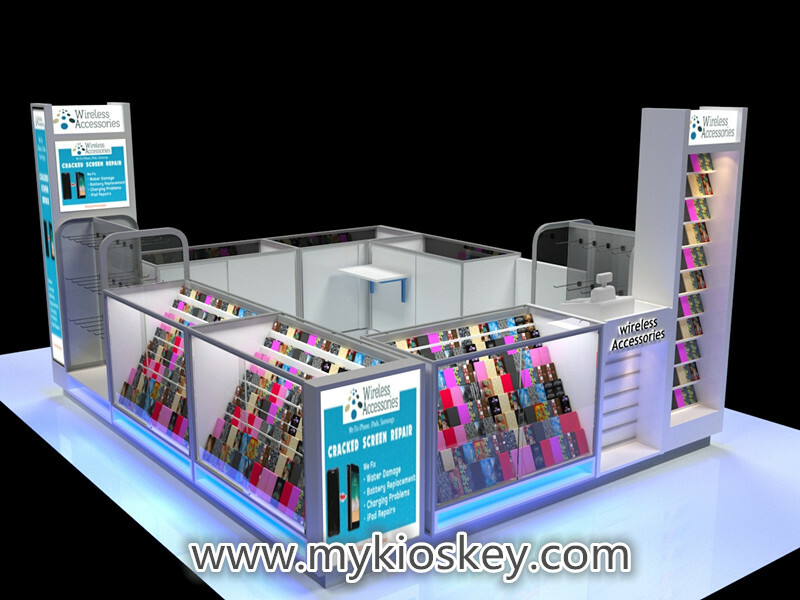 Accessories : led light , light box , acrylic logo . 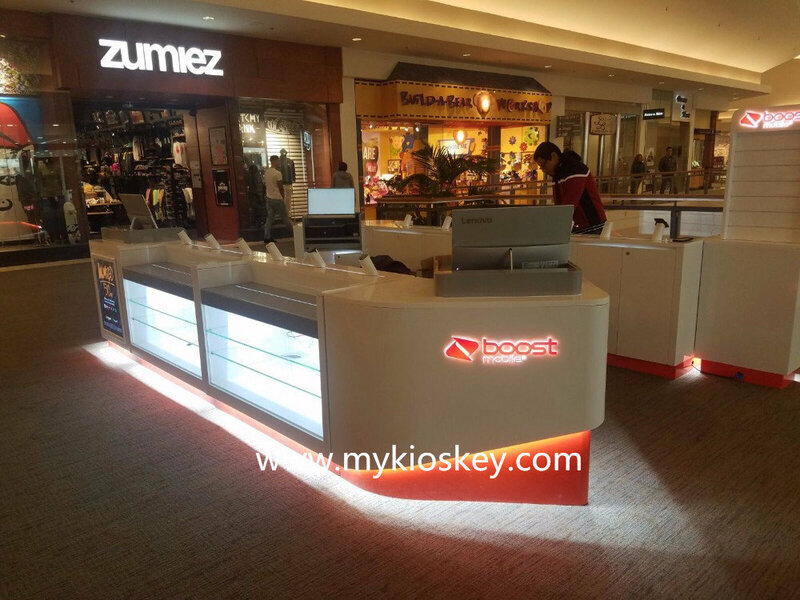 You can see this kiosk mainly tone is white , total size is 3m by 2.5m . 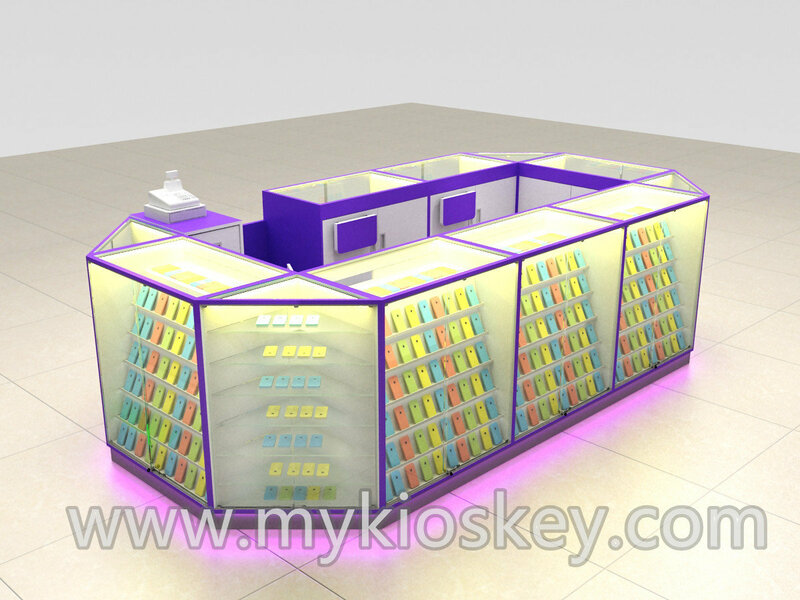 basic material is MDF , surface is baking painting finished , wooden shelves display , stainless steel skirting with white color led light strip . 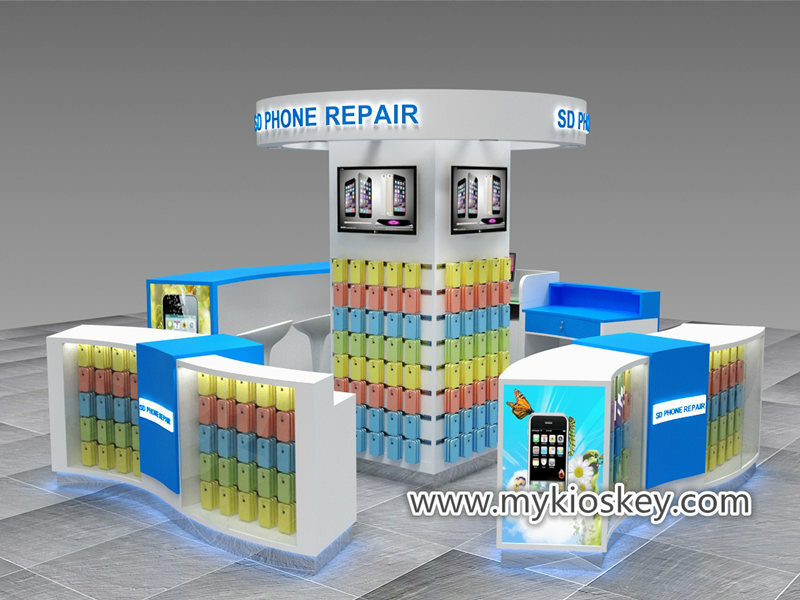 mainly provide mobile phone sale , phone case , phone accessories and phone repair service . 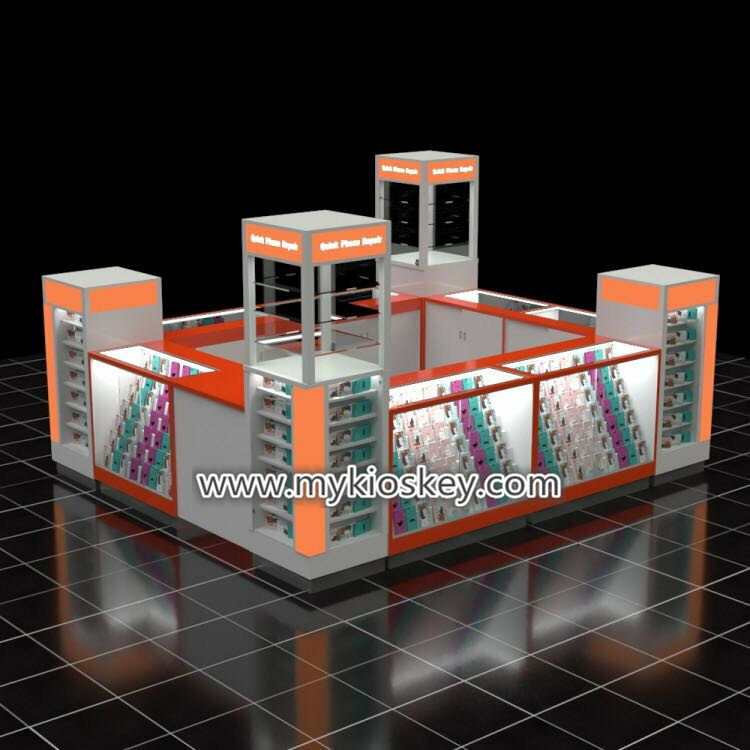 inside with many wooden cabinet for storage . 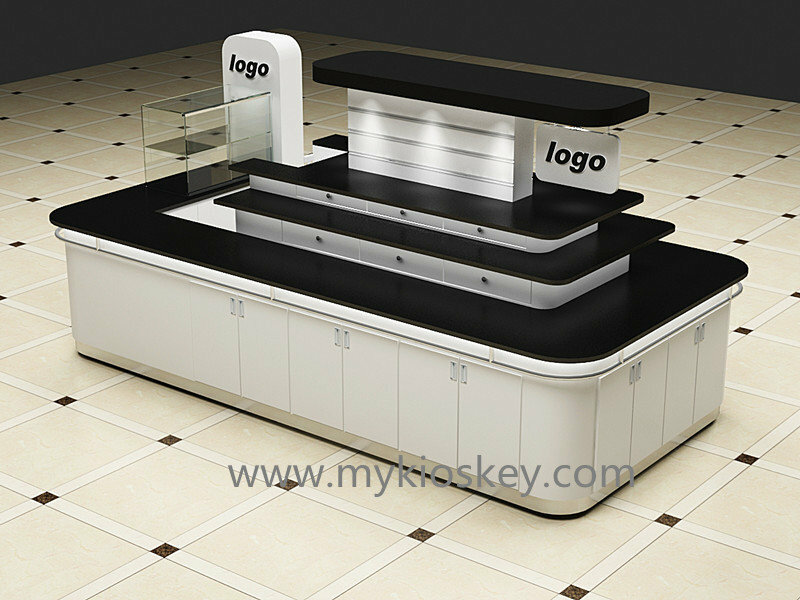 You will notice whole kiosk just have two sides counter , if your lease is not big make it like this is a better choose , whole counter four sides with arc angle , is very safety and beauty . bottom with a little orange , looks very nice . 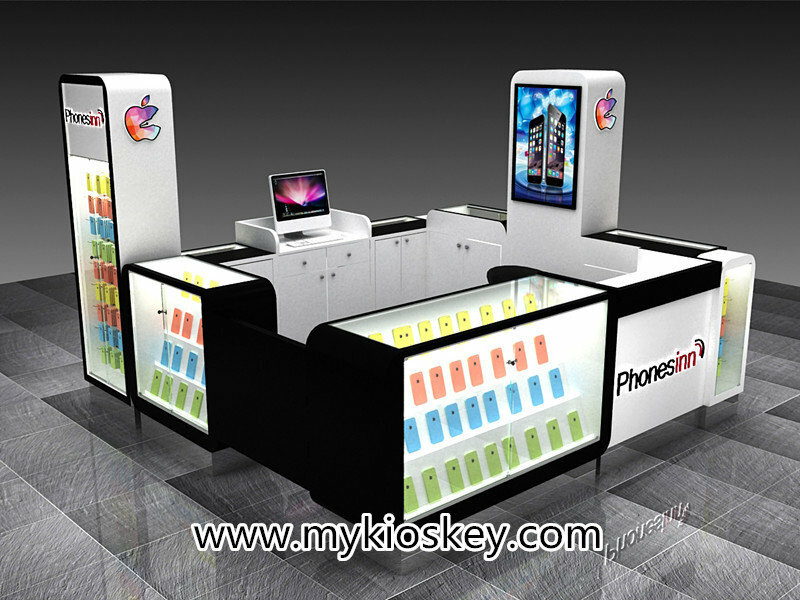 4. how to order a mobile phone display kiosk like this one ? 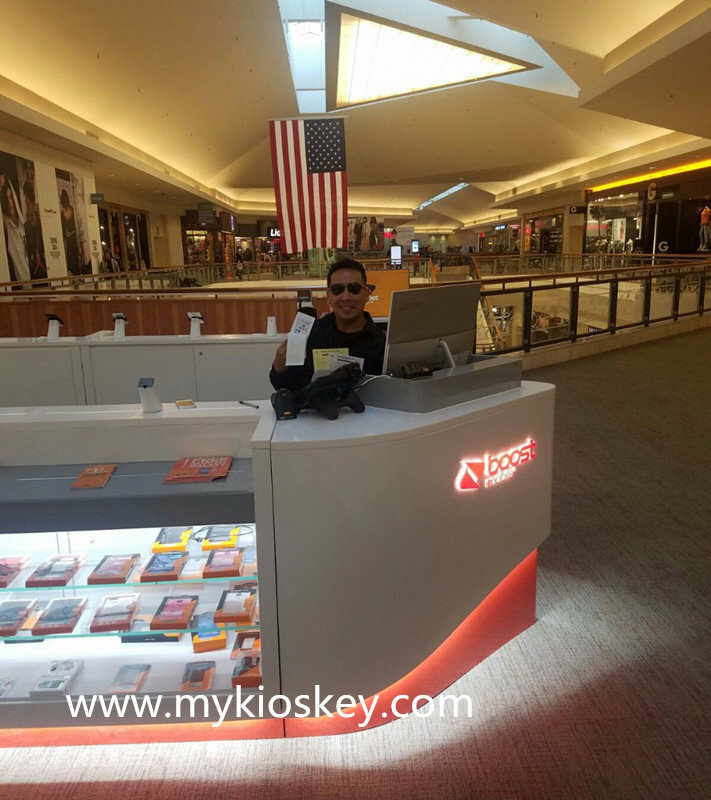 Thanks for your time and reading . 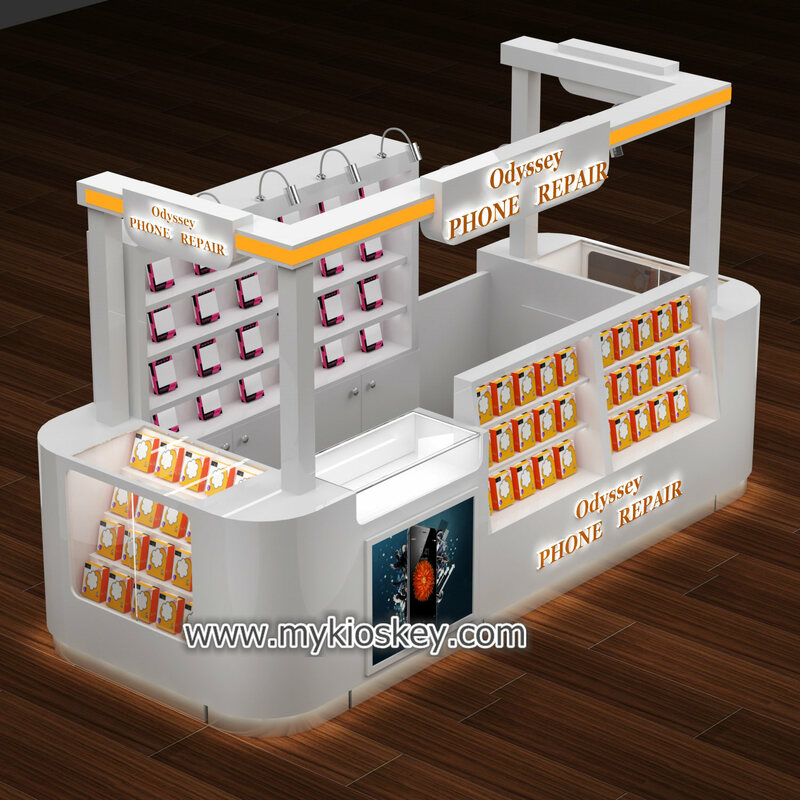 if you want more further info or interested build a mobile phone display kiosk like this one , pls feel free to contact us as below , thank you !